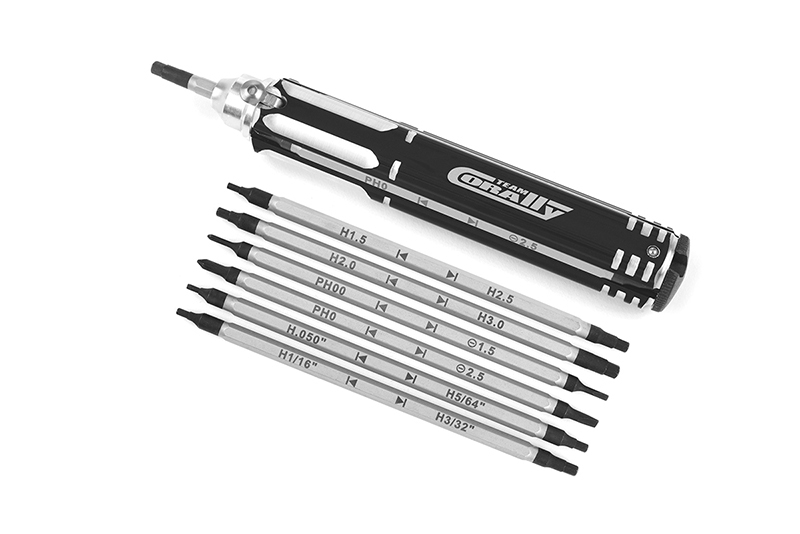 The 12 in 1 Multi-Tool driver is the tool to have in your pit or transmitter case. 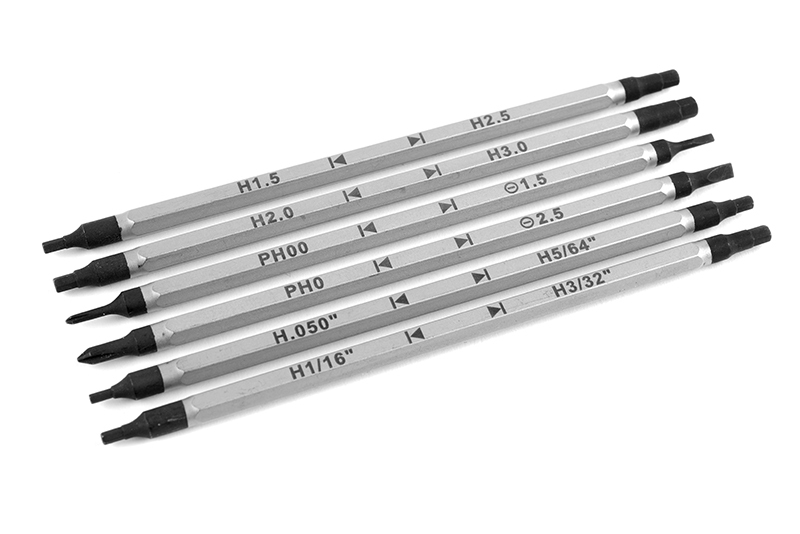 The set includes metric hex sizes 1.5, 2.0, 2.5, 3.0mm and SAE sizes 0.50",1/16", 3/32", 5/64". 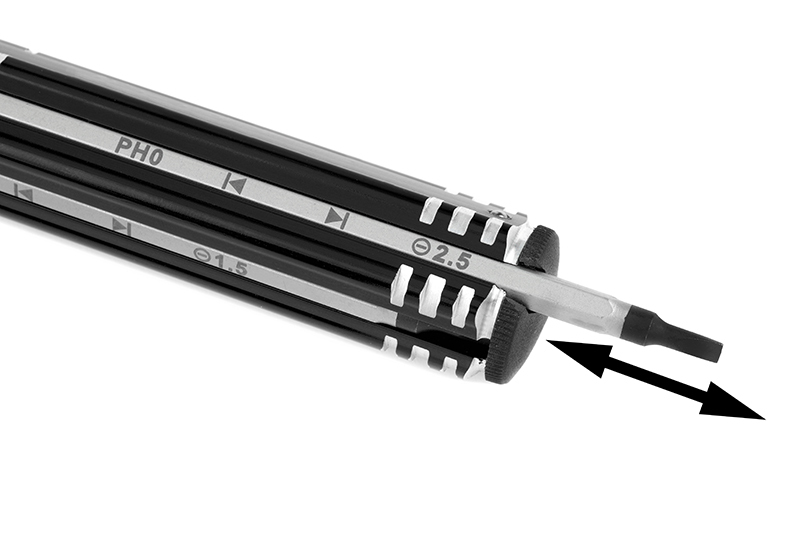 It also includes phillips and flat head screw driver bits. All drivers are stored inside the handle when not in use. With the friction fit action, you can actually choose how much of the driver bit is exposed. From short for those tight spots, to long, when you need to reach deep. 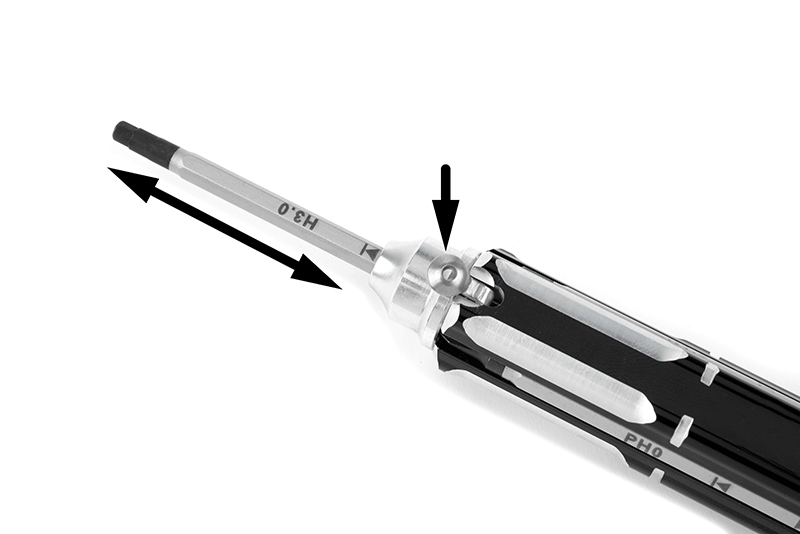 The handle is made of aluminum, with hardened steel driver bits.